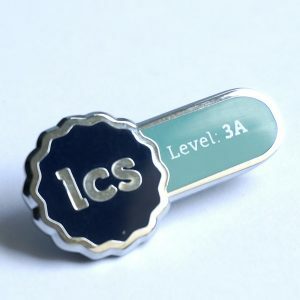 LCS Logo Enamel Pin Badge. 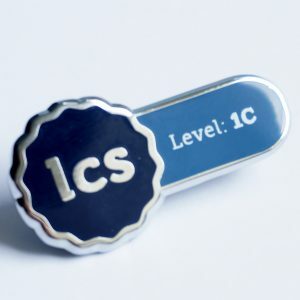 Designed for both LCS practitioners and those involved in all aspects of LCS accredited training, this handsome enamel pin badge features the LCS logo, with blue lettering edged in gold, all on a clear white background with a gold surround. 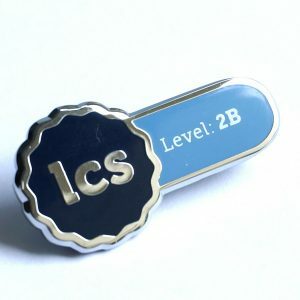 The tie tack fixing makes it easy to attach to anything from a jacket lapel to functional work wear. 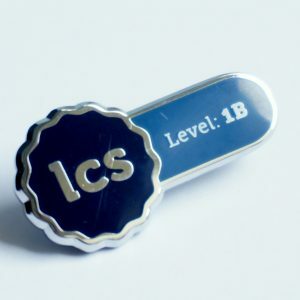 Designed for both LCS practitioners and those involved in all aspects of LCS accredited training, this handsome enamel pin badge features the LCS logo, with blue lettering edged in gold, all on a clear white background with a gold surround. The tie tack fixing makes it easy to attach to anything from a jacket lapel to functional work wear.